Clogs have been around all season (thanks to Chanel), but you'll be seeing a lot more of them come autumn/winter. There's no pussyfooting around this shoe trend - if you want to clomp and stomp, this is the footwear for you. It's also the shoe to wear with next season's big hosiery trend: socks. Knee-high, over-the-knee, ankle, patterned, plain... the good old pull-up is having a moment. 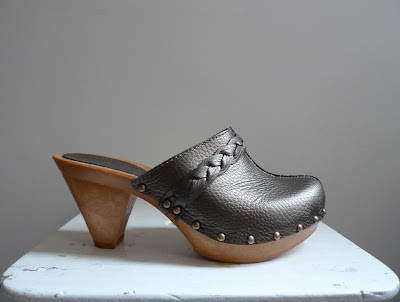 And nothing makes them look more quirky cool than a pair of clogs. I'm liking these from Marks & Spencer's Limited Collection (above and top). In a pewter leather with braid and stud detail, they're £39.50 and come in navy suede, too. 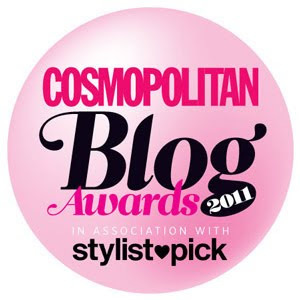 (I've teamed them with £2.99 purple over-the-knee socks from H&M). My only issue? I haven't quite mastered walking in clogs yet, which might be a problem! Given that we're prone to rain (even in August), closed-toe styles are a good option. Check out these chocolate leather Topshop ones (below). They're £35 in the sale, reduced from £70. 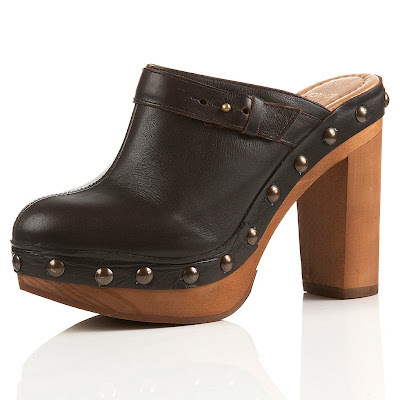 Plus, try New Look - it has a brown leather pair with buckle and stud detail for £40. And, if you don't like the idea of socks and shoes, wear your clogs with thick tights instead. Love your clogs! Topshop has a similar pair but they are £60 which is crazy considering there is not a massive heels or anything. I love the Topshop clogs in the picture about but I would kill myself if I tried walking in them!!! They look so cool. So glad we'll be seeing more of them this season. Maybe we will see less of those ugly suede boots that have been on all those feet last winter, and even this summer.